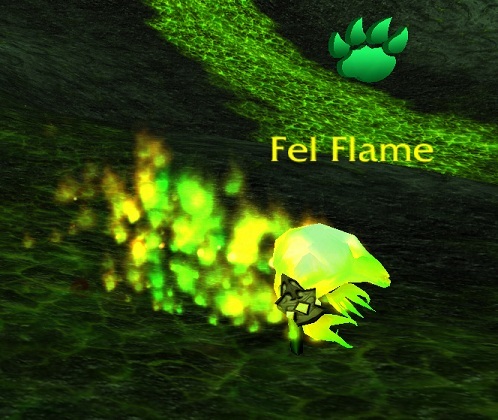 The battle pet of the month for September over at Warcraft Pets is the Fel Flame. If you’ve hung around here, you know I use this fairly frequently. It’s my go-to Elemental for testing the waters on a new tamer before I really get down to strat writing. It’s really easy to obtain, starts at a relatively high level, and my god, the burst! It continues to be useful in Draenor. A bit of a spoiler alert, but I’m adding mine to the strategy for the brand new Draenor tamer, Vesharr. There’s a bit of a wrinkle but, well, we’ll talk about that when we come to it. Click the link to go read my (exceedingly lengthy as always) write up on the Fel Flame. This entry was posted in Uncategorized and tagged warcraft pets on September 22, 2014 by Liopleurodon. 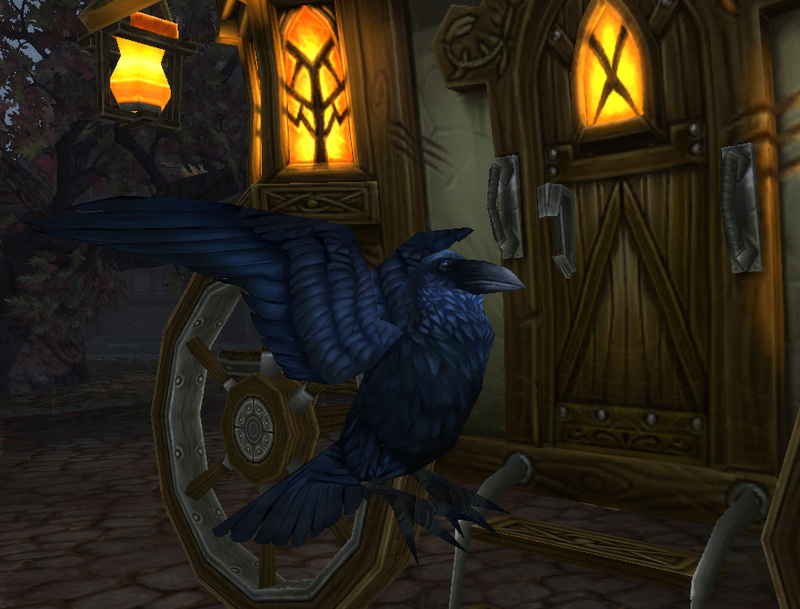 The battle pet I wrote about this month for Warcraft Pets was the Crow. Besides being real excellent ambiance, and a good frill for a lot of classes & races in RP, the Crow is a deadly fighter worth adding to your stable. Crows are a bit difficult to tame, just because of their limited timeframes and unique spawning pattern. They bring an additional fun minigame to the Darkmoon Faire, already chock a block with games. I will admit though, that I’m still a bit partial to the Gilnean Raven. My main is a Worgen, so I have that bit going for me. I was also lucky enough to snag the P/S variant. If you weren’t that lucky, that would be an excellent reason to try & tame your own Crow. Check out the full post over at Warcraft Pets and you’ll see what I mean. This entry was posted in Uncategorized and tagged warcraft pets on August 15, 2014 by Liopleurodon.